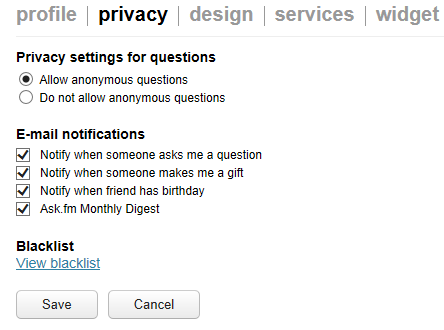 The site allowed users to interact anonymously by asking and responding to questions. Naturally, young users took advantage of the ability to remain in the shadows of the internet and took to posting mean, threatening and harassing comments to users leading to a number of bullying related suicides. In a quite deal for an undisclosed amount of money, Ask.fm has been purchased by the owners of popular dating app Tinder and will be moving the company to the United States. The company behind the deal, IAC, will be working in conjunction with the New York Attorney General’s office and investing “millions” into making the web site safer for users. Under the terms of the agreement, Ask.fm will revamp its safety policies and procedures, including creating a new online Safety Center, hiring a trust and safety officer to act as a primary safety contact, and establishing a Safety Advisory Board to oversee all safety issues. Ask.fm will also review user complaints within 24 hours and remove users that have been the subject of multiple complaints. An independent safety and security examiner will be appointed to examine the changes and report on compliance to the Attorney General’s Office for three years. This is a major relief to parents and educators alike who have seen the site growing in popularity since its introduction in 2010. Today it boasts over 130 million users with roughly 700 posts made each second. The brothers responsible for the founding of the web site will no longer be involved with its operations as a part of the deal. “They had a laissez-faire, libertarian attitude,” according Chief Executive of IAC, Doug Leeds, emphasizing that under the new regime, threats of violence and other distressing content would “not be welcome”.